John T. Knox Freeway – extending east from the Richmond-San Rafael Bridge and Point Richmond along industrial areas along the Richmond Inner Harbor to Interstate 80. 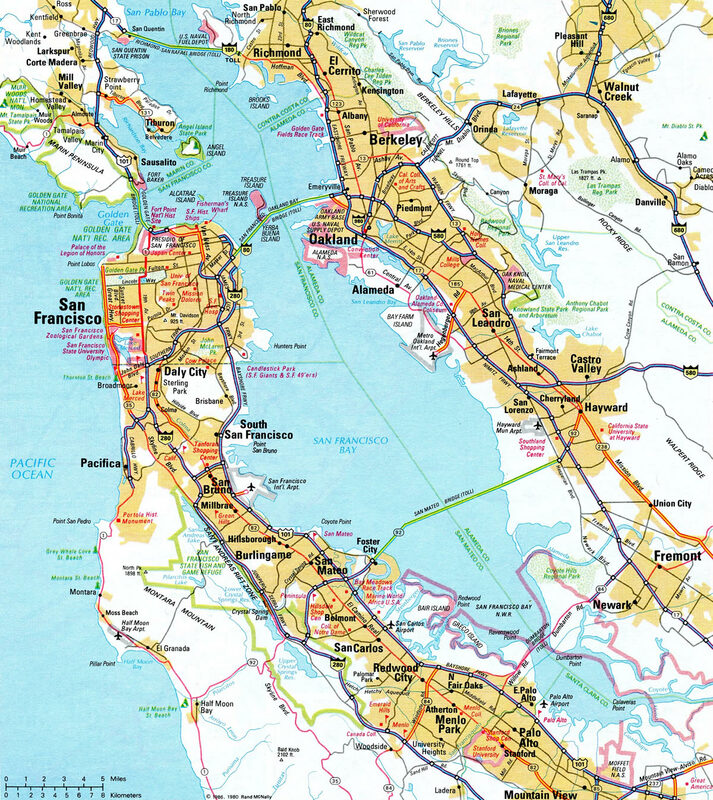 Eastshore Freeway, – combines with Interstate 80 south from Albany to Berkeley and the Maze Interchange with I-880 and the San Francisco-Oakland Bay Bridge eastern approach in Oakland. 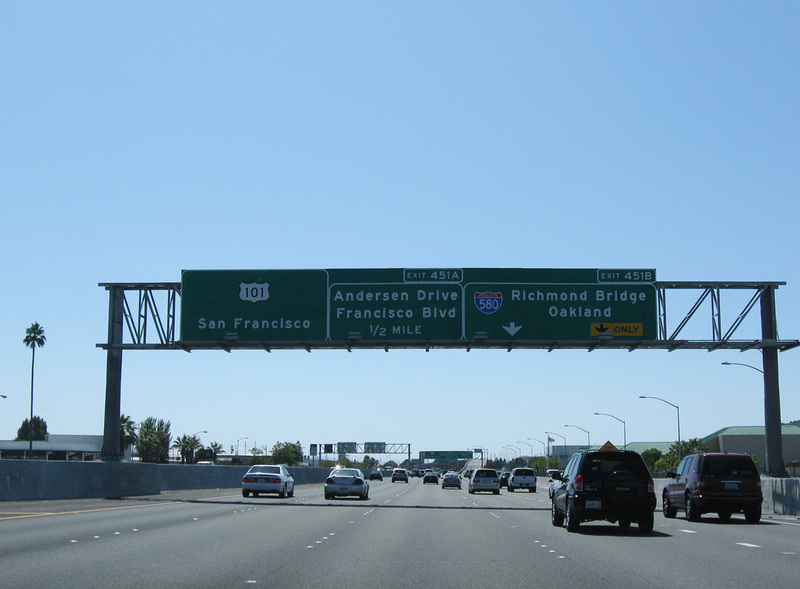 MacArthur Freeway, – follows Historic U.S. 50 southeast from Oakland to Hayward. 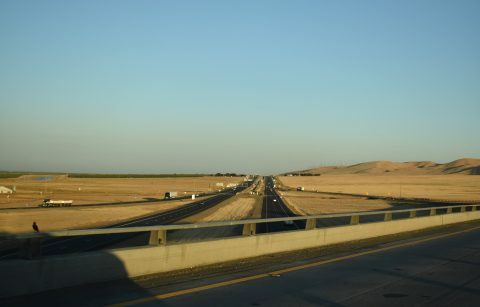 Arthur Breed Freeway, – continues along Historic U.S. 50 and goes east toward Dublin, Livermore, and the Central Valley, including the Altamont Pass and its windmills. William Elton Brown Freeway – branches southeast from Interstate 205 and bypasses Tracy along a rural, four lane stretch to Interstate 5. 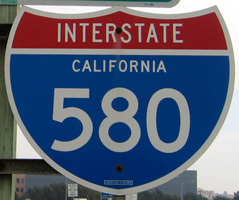 Several sections of Interstate 580 were constructed prior to the Federal Highway Act of 1956, including the Livermore bypass and Altamont Pass freeway. 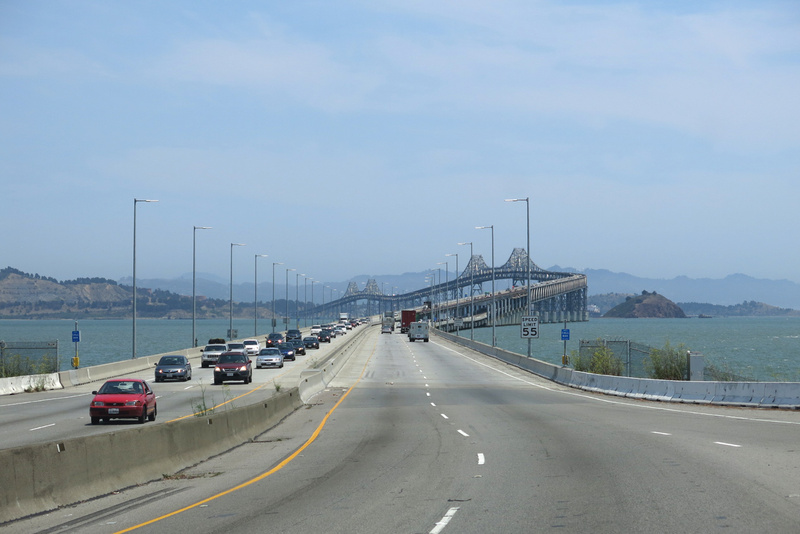 Both segments opened as part of U.S. 50 prior to 1956.1 The Richmond-San Rafael Bridge over San Pablo Bay was completed in 1976 and designated California 17. 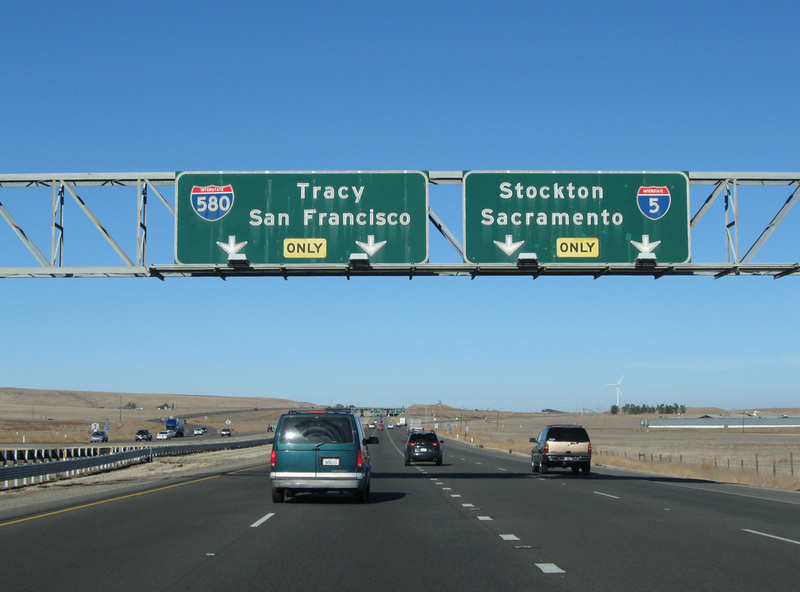 When the Interstate Highway System was established, the I-580 corridor was incorporated in the longer Interstate 5W loop. I-5W was proposed to run northwest from near Tracy to Oakland, and then northeast along I-80 to Vacaville, where it would branch north to Dunnigan. 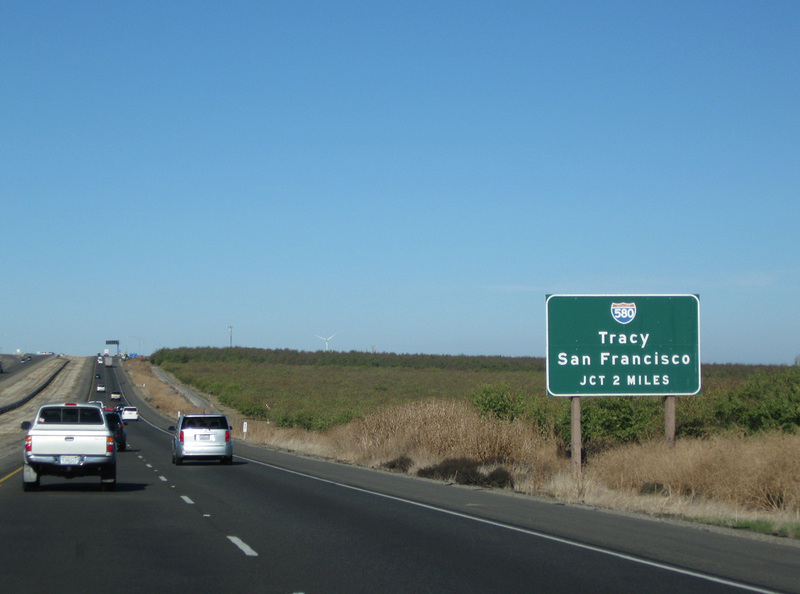 The suffixed route was briefly posted along side Interstate 80 through Berkeley, but decommissioned in favor of I-505 and I-580 in 1964. 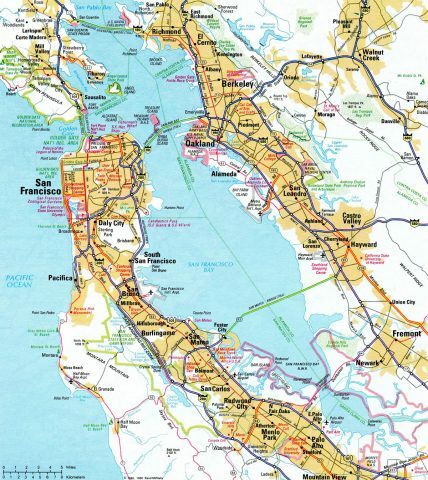 When it was designated, Interstate 580 consisted of the route west from the Central Valley to Livermore Valley and Dublin, through Dublin Canyon into Castro Valley, and north along the MacArthur Freeway to Oakland. A portion of this route west from I-205 overlaid old U.S. 50, and U.S. 48 before that. 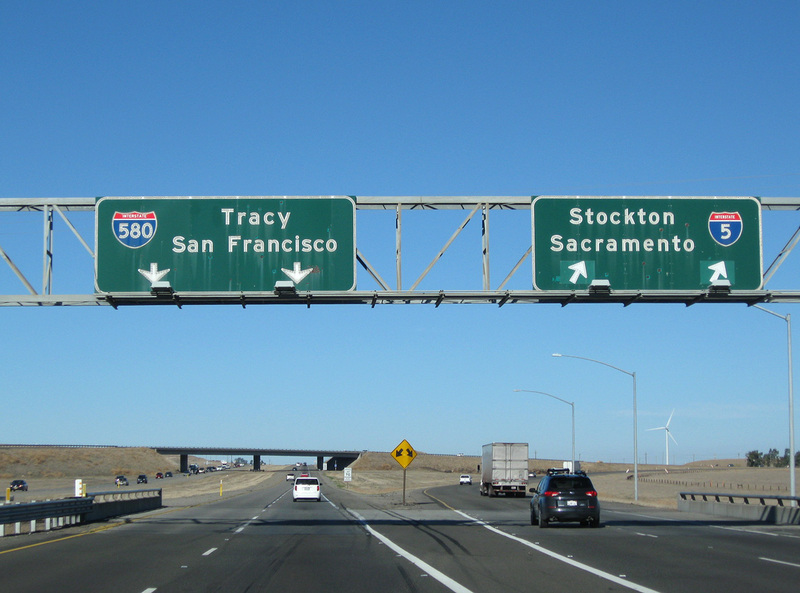 This changed in 1984, when Interstate 580 was extended northwest as a result of California State Assembly Bill 2741. 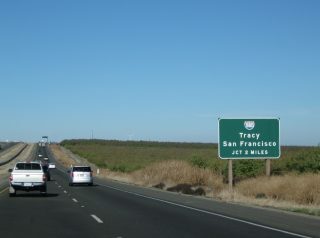 The legislation made a number of changes to the state highway system, including replacing California 17 west from Richmond to San Rafael as an extension of I-580, renumbering California 17 (Nimitz Freeway) south from Oakland to San Jose as the new route for I-880, and creating both Interstates 238 and 980. The Cypress Freeway viaduct leading I-880 into the Maze Interchange with I-80/580 appears to the northwest of the MacArthur Freeway at the exchange with I-980 in Oakland. Photo taken 07/11/18. 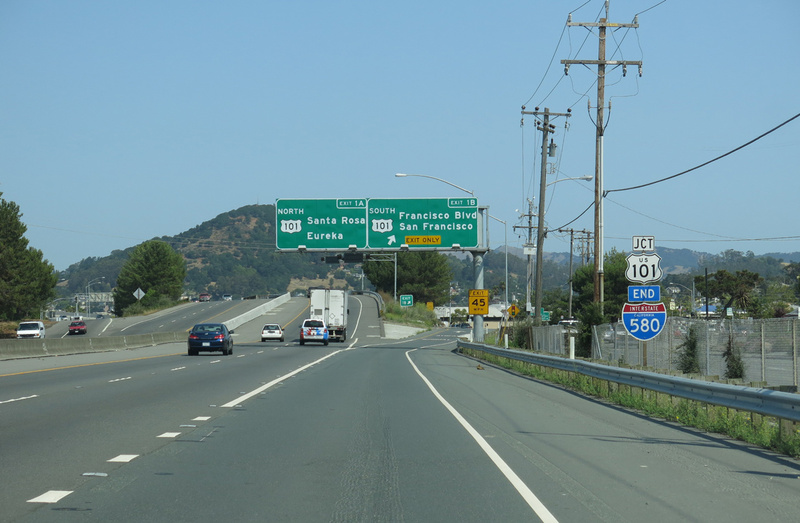 Interstate 580 east at Point San Quentin and the Richmond San Rafael Bridge. Photo taken 07/02/13. 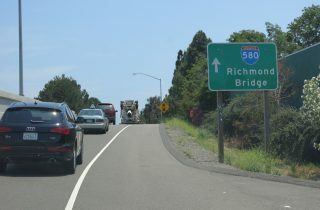 Despite this renumbering, the section of Interstate 580 between I-80 and the Richmond-San Rafael Bridge was incomplete and still under construction. 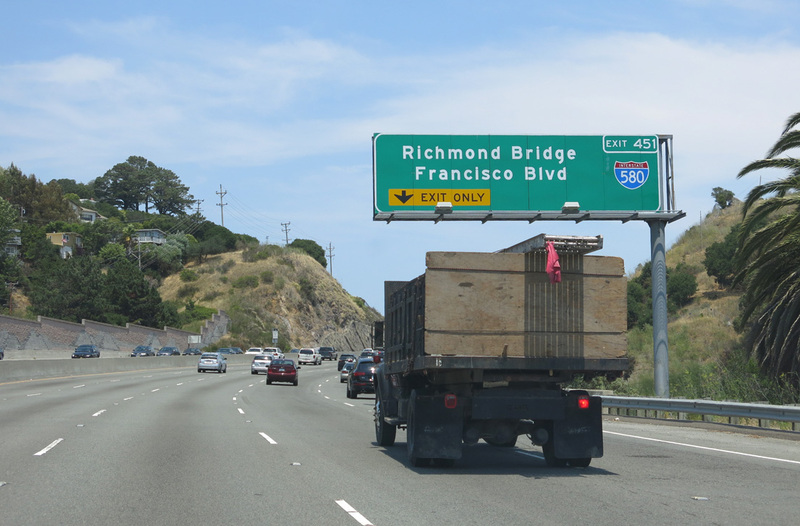 Temporary I-580 signage was placed along the substandard segment of former California 17, which veered west from I-80 along the Richmond Inner Harbor toward Point Richmond. Upgrades to this segment were completed by the early 1990s. 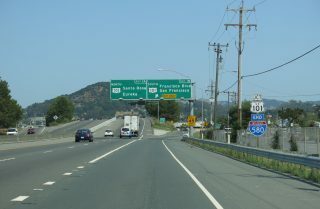 AASHTO approved the establishment of Interstate 180 between U.S. 101 in San Rafael and I-80 in Albany on June 29, 1978. 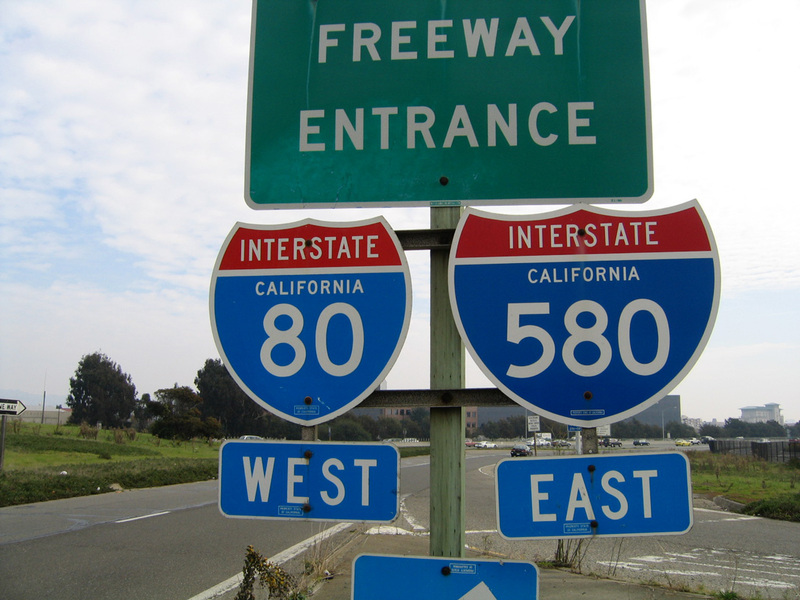 Due to the numbering conflict with California 180 in Fresno and across the Central Valley, I-180 was dropped. The redesignation of I-180 as I-580 was approved by AASHTO on June 20, 1983. 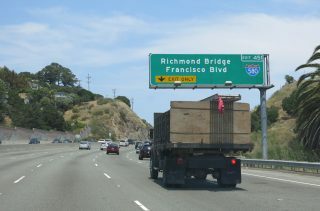 The Richmond-San Rafael Bridge was signed as Interstate 580 in 1985. Interstate 180 appeared on several 1980s maps for the Richmond-San Rafael Bridge, but was never signed in the field. The northbound split of Interstate 5 with I-580 west is located in a fairly remote area. 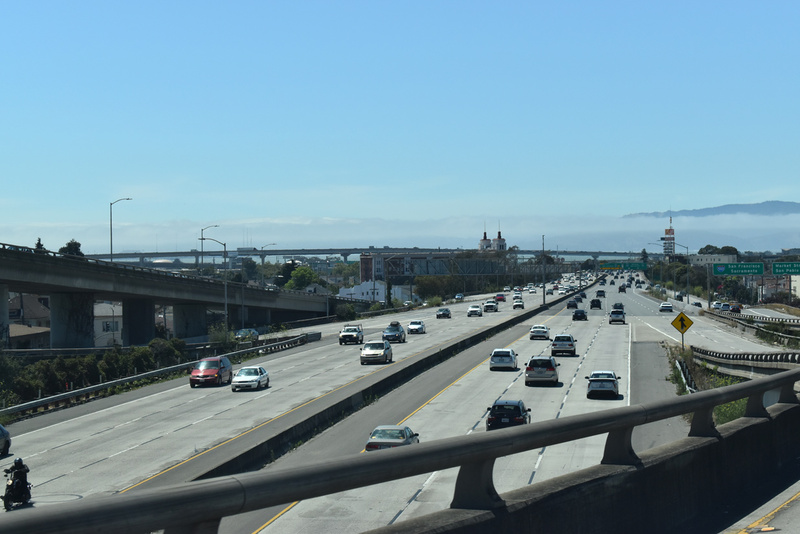 Despite that, traffic congestion is common on holiday weekends and at other peak periods along the four-lane freeway. Photo taken 11/25/10. 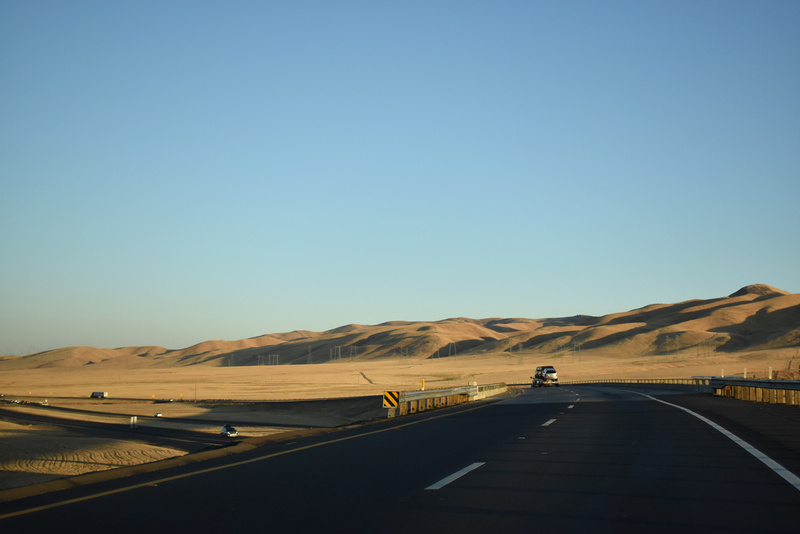 A rest area lines the north side of Interstate 5 just ahead of the San Joaquin County line. 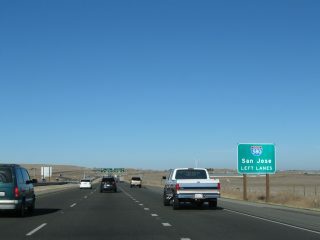 The rest area on-ramp forms an auxiliary lane to the wye interchange where Interstate 580 branches west from I-5 toward Livermore and Dublin. Photo taken 11/25/10. 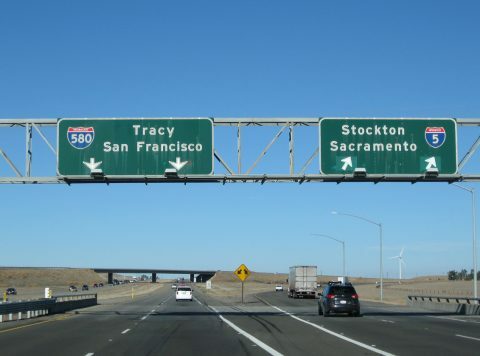 With the left exit for I-580 west, a weaving traffic pattern ensues for the continuation of Interstate 5 to Stockton and Sacramento. Photo taken 11/25/10. Interstate 5 turns to travel due north across agricultural areas east of Tracy. Interstate 580 follows a northwestern trajectory between the western foothills and the California Aqueduct to the merge with I-205. Photo taken 11/25/10. Interstate 5 converges with I-580 east along the Diablo Range foothills southwest of Vernalis. Photo taken 07/11/18. 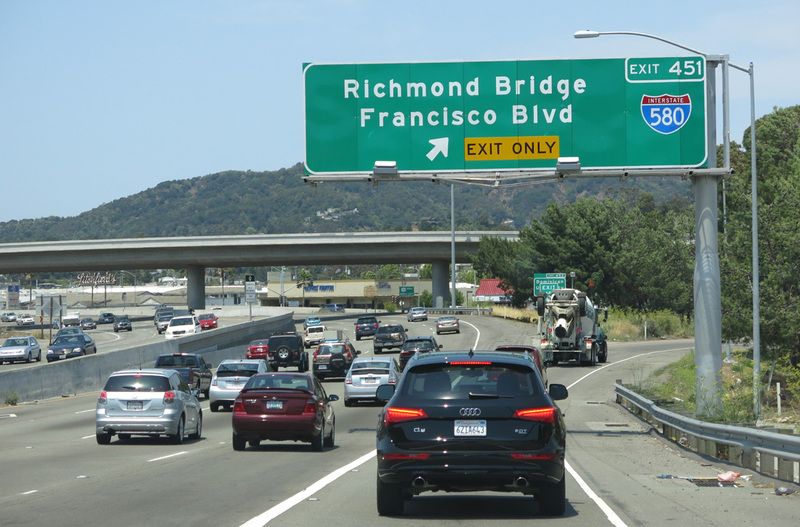 Due to the wye interchange at the west end of Interstate 580, motorists headed to U.S. 101 south are directed onto Sir Francis Drake Boulevard at Exit 2A. 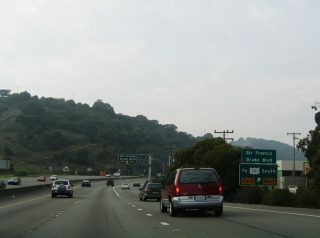 The surface boulevard winds two miles west along side Corte Madera Creek to connect with the U.S. 101 freeway south to San Francisco. Photo taken 11/26/04. 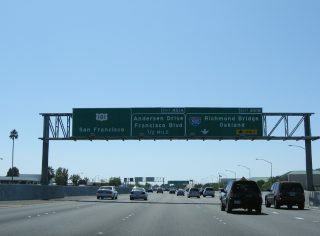 Bellam Boulevard provides a second opportunity to connect with U.S. 101 south to San Francisco via Exit 1B and Anderson Drive. Photo taken 07/02/13. 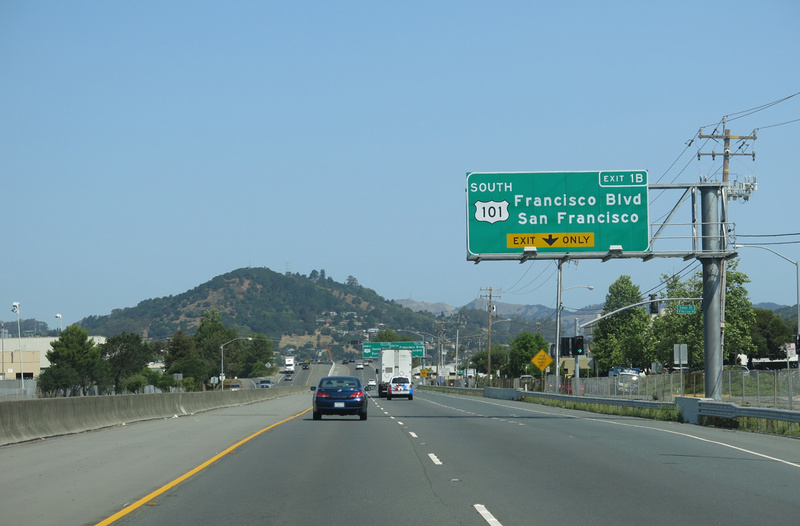 An end shield for I-580 precedes the diamond interchange (Exit 1B) with Bellam Boulevard. Photo taken 07/02/13. 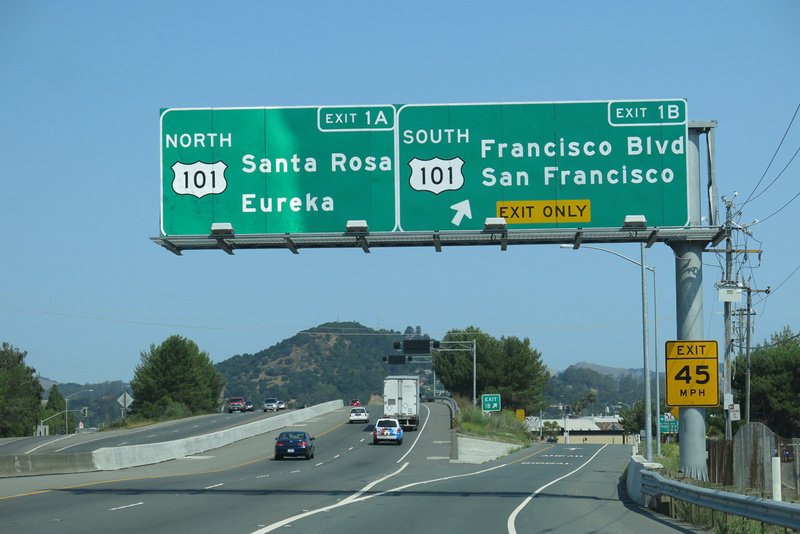 Exit 1B lowers from the concluding Interstate 580 west for Bellam Boulevard and parallel Francisco Boulevard. 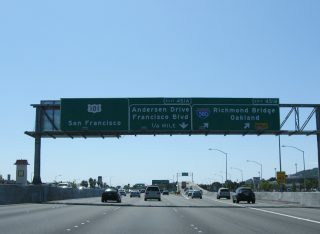 Francisco Boulevard runs along the east side of both I-580 and U.S. 101 north, serving adjacent industrial businesses and warehouses. Photo taken 07/02/13. Button copy signs previously posted at the west end of I-580. Single lanes from both the Interstate 580 westbound mainline and the on-ramp from Bellam Boulevard combine ahead of U.S. 101 north to Novato, Petaluma and Rohnert Park. Photo taken 11/26/04. 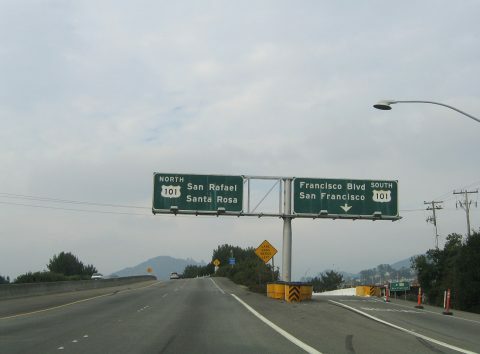 U.S. 101 spans the San Rafael street grid along a viaduct system 0.75 miles north from Interstate 580. Photo taken 07/18/09. 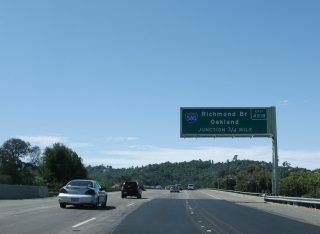 Exit 451A separates from U.S. 101 south for Interstate 580 east to Richmond and Oakland. Photo taken 07/18/09. 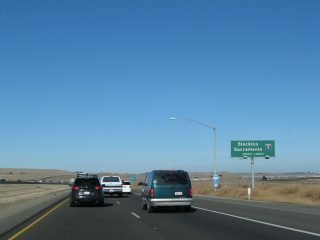 U.S. 101 winds around Southern Heights Ridge leading into the partial interchange (Exit 451) with Interstate 580. Photo taken 07/02/13. Exit 451 consists of a Breezewood style connection from U.S. 101 north to I-580 east, requiring motorists to navigate along the ramps with Bellam Boulevard before merging onto the freeway ahead of the Richmond-San Rafael Bridge. Photo taken 07/02/13.